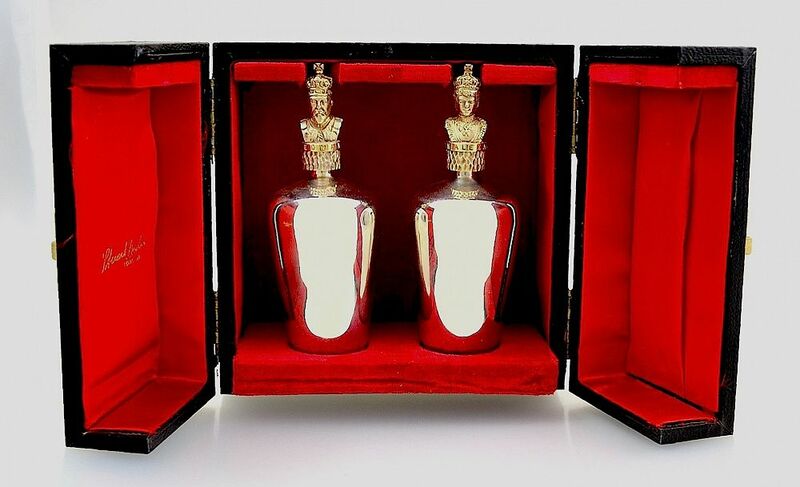 A boxed pair of Stuart Devlin silver and silver gilt scent bottles. Each balaster shaped scent bottle has a screw top. 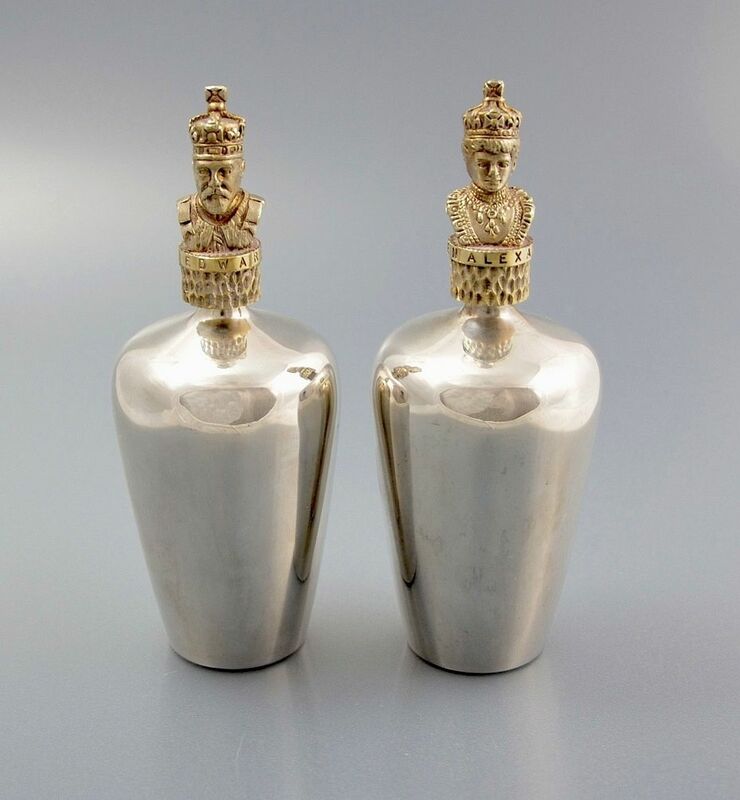 The tops are in gilded silver, one being the bust of King Edward and the other being the bust of Queen Alexandra. Hallmarked for 1976 they are presented in their original box.